Family photo albums are in danger. In fact, curators and collectors like Erik Kessels have dedicated years of their lives to studying and saving family photo albums – before it’s too late. Many curators and collectors believe analog family photo albums are on the verge of extinction. The fact that every family’s photo album could be in danger has piqued the interest of artists and curators who want to give hope to old, orphaned photos and albums. It’s extraordinary to think that photo albums have only been in existence for roughly one hundred years, and now they are virtually dead,” Kessels says. 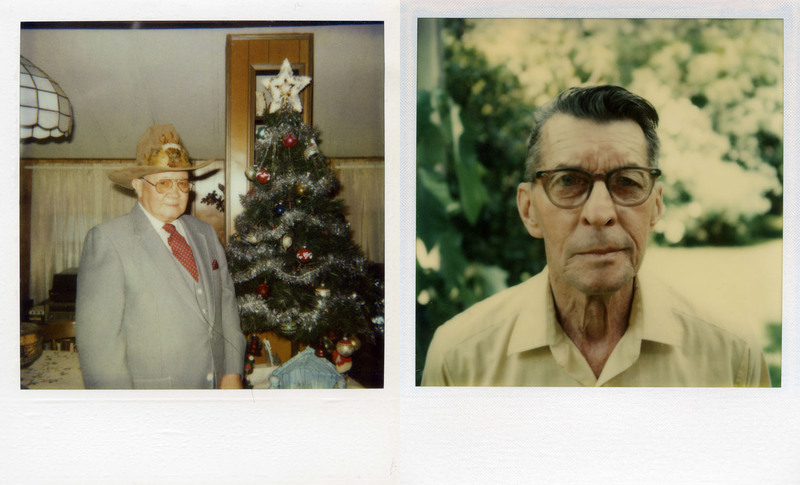 One project, Found Polaroids, aims to give abandoned photos new life. 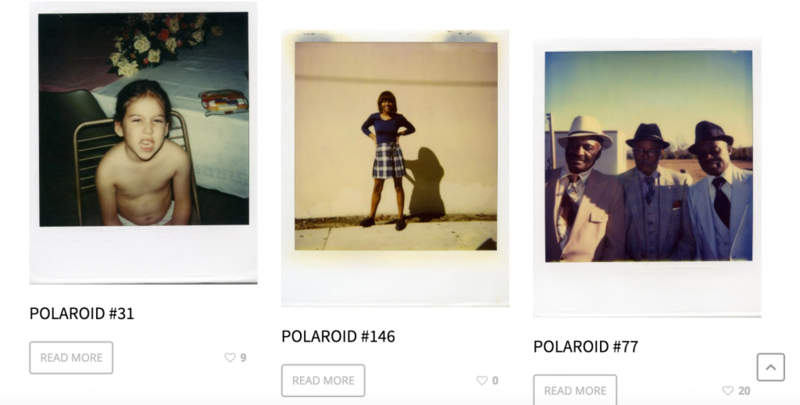 By finding and curating Polaroids that have been lost or abandoned by their original owners, the team behind the “Found Polaroids” project intends to add stories to each image. Canadian photographer-researcher Kyler Zeleny is the founder of the project and shares the following insights about the artistic value of discarded analog photos. It is hard to deny that family albums are contrived to highlight exciting and culturally significant moments rather than bleak, unhappy moments. Yet some artists are boldly challenging the conventional definitions of family albums by assembling albums from found photos or photos that depict darker realities of family life. British photographer Richard Billingham challenged conventions of the family album by creating a book entitled “Ray’s a Laugh,” revealing his own rough childhood. He exposed the vulnerable nature of his family to our scrutiny by showing their tough times rather than the happy times. Agnes Eperjesi’s series titled Family Album is another example of an artist subverting the traditional idea of the family album. Eperjesi created an entirely real – albeit fictional – album by salvaging small images that would have been considered trash. By doing so, she becomes the scavenger of her own past. Her approach combines elements of Susan Sontag’s writings on the ragpicker and Michael Thompson’s ideas of rubbish theory and trashcan culture. In her series, “Beyond the Family Album,” Jo Spence critiques her own family album by capturing and adding photographs to the album that did not make ‘the cut’ by conventional standards. Diagnosed with breast cancer, Spence entered a kaleidoscope of emotions. She decided to “document the procedure of being ‘processed’ through the hands of the medical profession.” Armed with 13 rolls of film, she photographed a new chapter for her family album. The resulting photographs shed light on the selectiveness of pictures that actually make it into most family albums, the self-censorship process and an acknowledgment that not all of life’s moments are celebrations or accomplishments. All three of these projects catalyze conversations about the ways we curate our own family albums. What moments do we choose to include? What moments do we choose to omit? Are albums for forgetting as much as they are for remembering? How would any of us interact with Polaroid images of ourselves as children if we were handed them today? Would they serve as a reminder, a throwback to a time we no longer remember, or would they confuse our memory of that time? Family photo albums are more than artifacts of our existence; they catalyze conversations. They should spark our memories so we discuss both beautiful and mundane chapters of our family narratives. Family photo albums should enable us to talk about painful parts of our lives, too. That’s why a family’s photo album is a trove of importance. They have the power to both hide and clarify events. About the Author: Kyler Zeleny (1988) is a Canadian photographer-researcher and author of Out West. His current photographic research interests deal with contemporary rural issues and how geography extends identity and creates community. His personal interests are in found photography, family albums and the politics of archives. 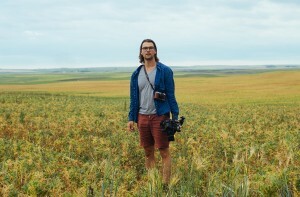 He received his bachelors in Political Science from the University of Alberta and his masters from Goldsmiths College, University of London, in Photography and Urban Cultures. He is a founding member of the Association of Urban Photographers (AUP), a guest editor for the Imaginations Journal for Cross-Cultural Image Studies and a guest publisher with The Velvet Cell. Kyler Currently lives in Toronto, where he is a doctoral student in the joint Communication and Culture program at Ryerson and York University. You can follow his photographic adventures on Instagram and Tumblr. When my father died at 95, my younger brother scanned every photo he had collected in a huge cardboard barrel. He has just sent my older brother and me a thumb drive with allof the photos organized in folders, plus a priceless video of my mother baking bread and several recordings of interviews he did with you in the 1990’s. Now I’m sorting out photos with various cousins and aunts and uncles who have long passed and forwarding them to the living. I need pictures to hang on my wall and to putin my wallet. I’m going to make a photo album, identifying the people I know, from my brother’s hard work.